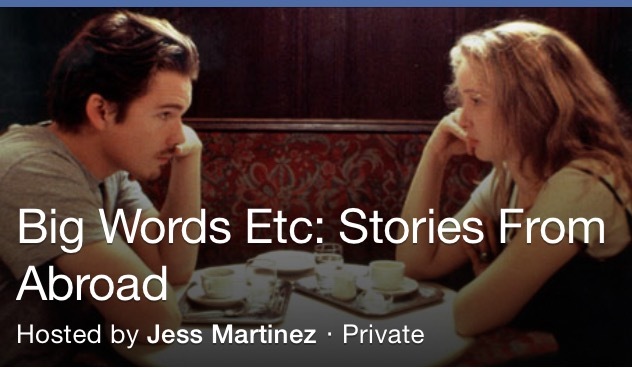 This Wednesday, August 19th, I will be reading as a part of the Big Words Etc. reading series. The theme is Stories from Abroad, and I will be débuting a new piece. I’m excited to be reading with this group of really talented writers. Check out the Facebook invite for more info!